We seem to be having an unplanned American car theme at present. 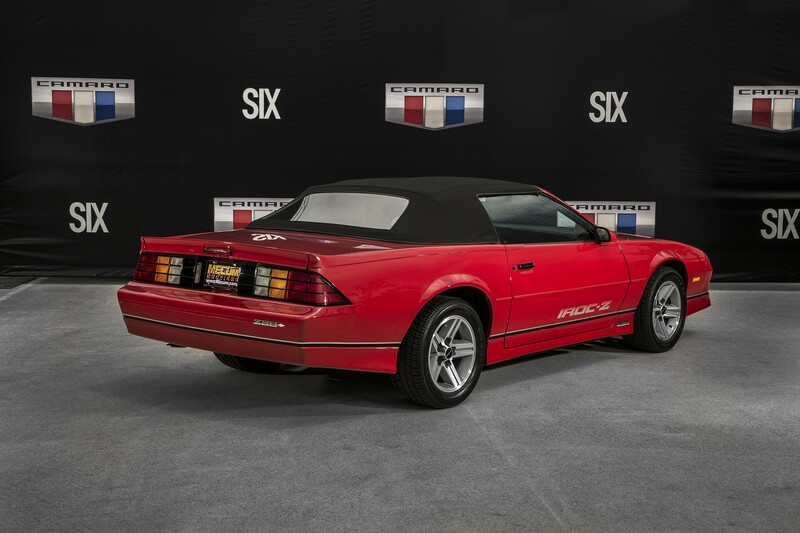 Today we take a closer look at an example of the third generation Chevrolet Camaro, in rare convertible guise. I saw this one in what I consider to be its natural habitat, a vast suburban car park, surrounded by big box retail units and convenience food outlets. It fits right in, I think. And in so doing corresponds to my prejudices about a certain type of American-market American car. You can’t accuse the Camaro of being over-styled or chrome-laden. This one has no brightwork and the surface treatment is extremely straightforward. If you examine this detail here you can see pretty much all the information you need to know what the rest of the car looks like. The wheel arch flare has virtually no crown; there is a simple transition from the wing to the bonnet and in between the smallest of fillets. The Camaro nodded to contemporary car-design trends in not having a grille to speak of. What little air the engine seems to need squeezes past the registration plate. 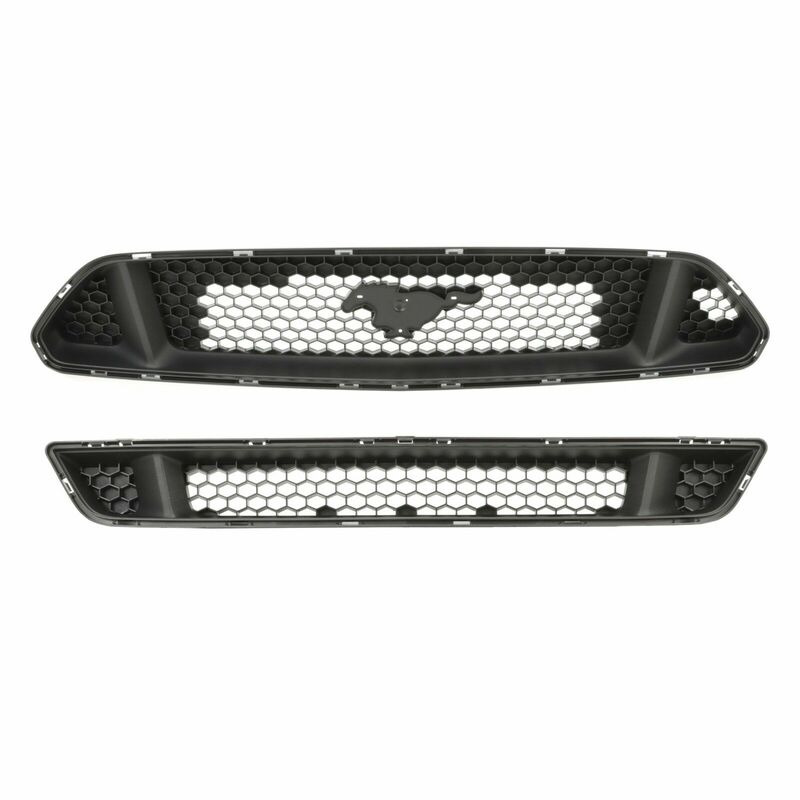 It makes you wonder about the need modern cars have for their huge grilles. 1987 Chevrolet Camaro. It’s a Camaro. Where’s the V8 badge from? And at the back, it’s more contemporary styling with what amounts to full-width lamps. That’s a trend that’s due for revival, wouldn’t you say. There isn’t a whole lot there, fine, but it is not tidy. Note the red lines where the centre console meets the IP. And the there is an inexplicable dog-leg (green) which is seemingly to do with inability of the designers to find a clean average line mediating the shape (orange). The assembly has the disturbing appearance of a pre-production mule. Today’s car is a bit more refined yet still has that unhappy conjunction of the centre console and the IP. The Camaro mostly had long production runs; the first one had a brief life (1967-1969) and then more prolonged runs: 9 years, 10 years, 9 years and then 5 years (ending 2015). The current model began in 2016. The fifth generation appeared after an 8 year pause. That reflected dwindling interest in this class of car which has reversed somewhat, with a field now also occupied by the Mustang and Charger (the Charger is in its seventh generation). The Camaro used the F-body and for a long time was twinned with the Pontiac Firebird. As of the third generation car, the Pontiac ceased to be sold with Pontiac-designed engines. Behind that detail is the long process whereby GM’s brands lost their independence, starting with their proprietary engines. And at the back, it’s more contemporary styling with what amounts to full-width lamps. That’s a trend that’s due for revival, wouldn’t you say..
Renault also seems to want to go there – but not quite. If it wasn´t for DTW´s readers I would not be as well-informed as I am presently. The A7 lamps can only be called pleasing. I do like that. I also liked the Audi 90s Quattro coupe rear lamps and having had another gander at that car am reminded how coolly lovely it was to look at. 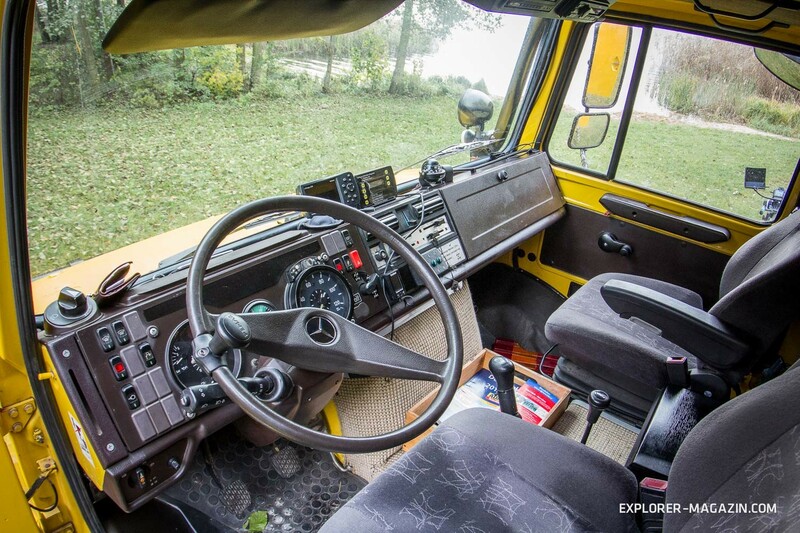 Because the Unimog is a work-tool the appearance is appropriate. Even for the standards of the day, the Camaro interior is poor. It´s not that Americans don´t know how to design. GM had stunning interiors in the 1960s and at other times did some interesting and quite experimental stuff. This isn´t one of them. I know the car was not expensive. However, there are scores of inexpensive-but-pleasing interiors (esp. the IPs) to be found. That probably suggests a title for a listicle I will not write “Eleven Inexpensive Interiors That Were Better Than The 1982 Camaro”. The criterion is that the contender must cost less than a 1982 Camaro adjusted for inflation *and* purchase power parity. Thank you for your feedback. 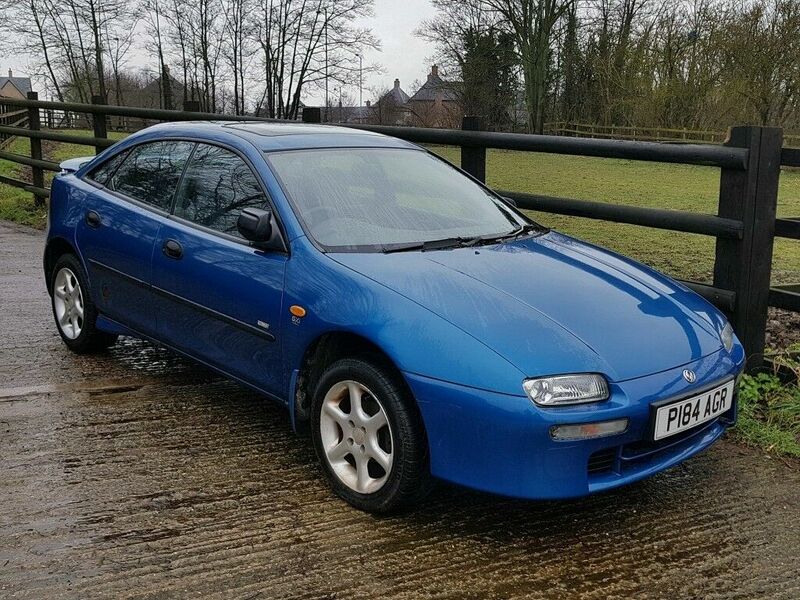 That’s what I thought, most people say ‘coupé’ according to my poll then. However, I’am guilty of pronouncing Porsche as ‘Porsch’. It might be excusable on the 944, where the convertible was never more than a niche product, but surely it wouldn’t have been beyond GM’s resources to produce rear wings specifically for the Camaro convertible, which was a big seller? Like the clumsy dashboard and centre console, is that sort of lazy detailing that really lets the car down. I can’t imagine how GM’s designers thought this satisfactory, particularly on a car that should sell, at least in part, on its good looks. In fairness to the designers, it was probably the cheapest way to handle this detail, so the cost accountants prevailed. 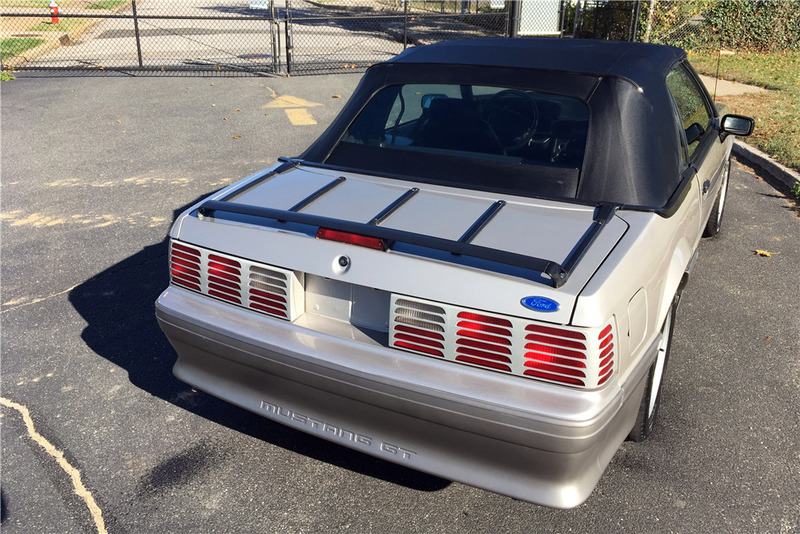 If my guess is wrong and the rear wings were already specific to the convertible, then the treatment of the spoiler is completely inexplicable. As to the badging affixed to the rear bumper, the V8 is not standard, but the other badges are, and just look wrong. 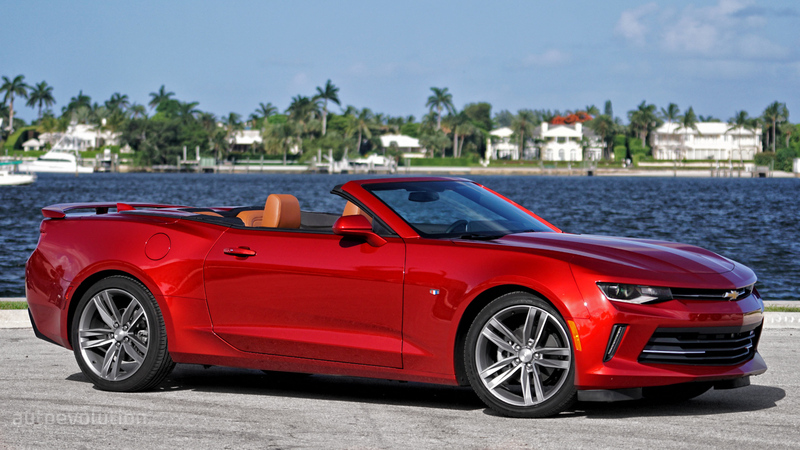 Although the Camaro sold in large numbers, the convertible remained a cottage product, made by ASC – about a thousand made. Chicken/egg: if Chevrolet had some some work they could have made special sheet metal for the car and lowered the unit costs. Under those plastic bits is probaby rotary-sawed metal. Last time we were in the US, Alamo gave us the choice between a Mustang and a Camaro convertible. Having had a Mustang previously, I was salivating at the prospect of the very red Camaro on the lot. Unfortunately, the boot opening was so narrow, once one (not particularly large) suitcase was in, the other wouldn’t fit through the opening, so back to the Mustang. I guess that’s the very definition of a first-world problem. Daniel – That shutline is quite something. Hi NRJ. Yes, the front facia/wing/bonnet interface does leave something to be desired. However, you can’t see it from the driving seat! Do most people pronounce it ‘Koopay’ like it should or is the ‘Koop’, as pronounced by some car designers, quite widespread ? I feel uncomfortable when car designers call them ‘Koop’. Having learned French before English, I’m absolutely in the ‘Koopay’ field. It somehow gives me a hurting feeling when I hear ‘Koop’ (like ‘Porsh’ instead of, well, ‘Porshay’). Simon, Daniel -My reply ended up higher up in the comments somehow. I’m loving the dished wheels with the fat tyres, and I like the slanted nose with its lack of ornamentation. Oh, and the nose-down stance is great. 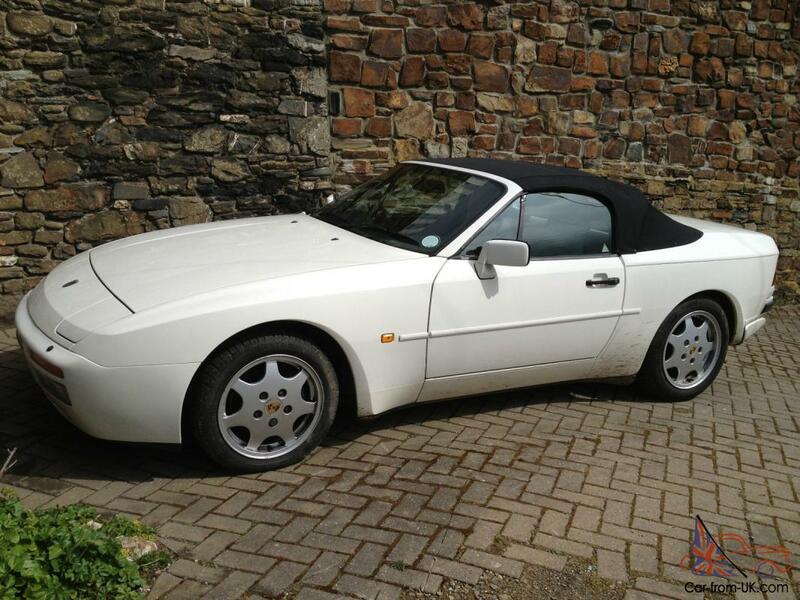 But any other fondness for this car is, I think, largely nostalgia on my part. Objectively speaking, it’s pretty poor. 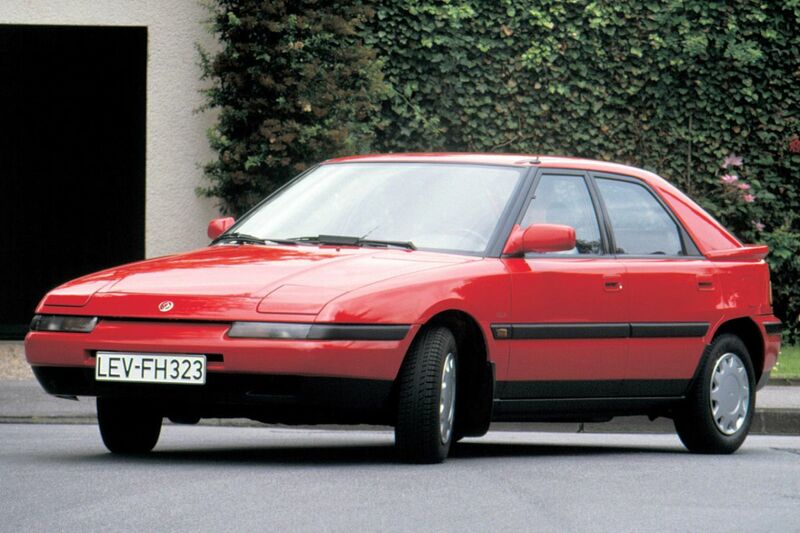 The 1980s was a very cheap era in American car design. Something of a design triumph, that. All smooth surfaces and hidden aero, but the gaping headlight recesses make it look like some kind of predator. It seems to have landed very well with its target market. I had a look. Agreed, it looks good. But dare I say that the black surrounding and what is built around the headlamp make it less obvious as in the other 2 examples ? To me the 100NX looks downright dumb, as for the Camaro the jury’s still out. I forgot about the 323. I think I preferred its predecessor shown in red above, although it didn’t age as well as its replacement maybe or perhaps it’s just a really bad angle in the picture. I quite liked the ‘sleepy eye’ 323F, and I don’t think it has aged too badly, although some details are a bit coarse. The problem is that they were mostly red, and that colour faded massively in no time, along with the side rubbing strips. So after three years they already looked tacky. I saw a very well preserved example some years ago, which made me realize two things: first, I really like this car, and second, they have become extremely rare nowadays. Judging the design of the Camaro means a comparison with the Mustang. And then the Camaro is not that bad at all. I’m not arguing that, unadorned, it’s a beauty, but it is better. No? Oh, okay then, sorry. I didn’t realise that post went through. Was it a design proposal related to the 3rd gen Camaro ? a concept-car ? No, it’s today’s teaser! Anybody recognise It? 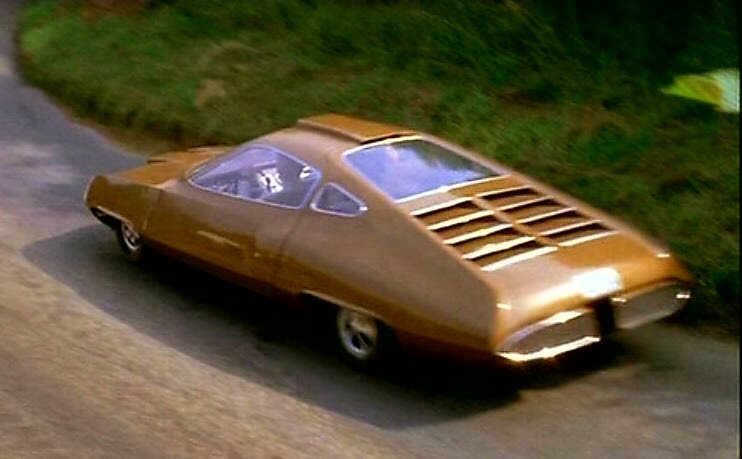 The car was actually a runner, based on a Ford Zephyr, although it was dubbed to sound like a Hoover (meant to be a jet turbine, apparently). You have to hand it to Anderson for having a complete world for his stories. One of the problems with that generation of F bodies was that, structurally, they were absolute dogs. Even the coupes were noodles. 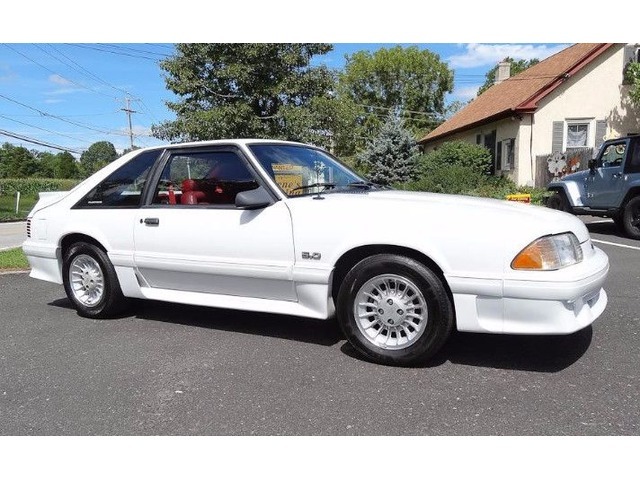 Many of the “sports” models with larger engines had T-tops, which made it worse. And the convertibles, built on such a structurally compromised platform, took the prize for body flex. The cars didn’t overheat, so the big radiator grill is not needed for that. However, with such an emphasis on fuel economy and aero now, airflow thru the engine compartment is an issue and the big grill may help with that. Because marketing is so important. Note that GM prefers “grill” without the “e”, which imparts a more gritty charcoal taste. Christopher wrote a piece on pseudo facial and rear end addenda not long ago, yet one cannot argue that the flowtie increases airflow… I think this is a war that apparently cannot be won. 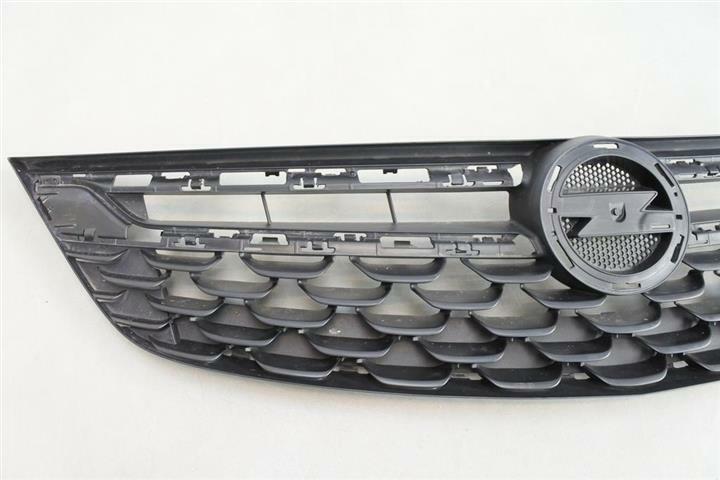 So this is just a grille, like thousands of other cars, but with a fancy name and deemed a ‘technological’ feature ? To me this is typical American marketing agressiveness, like when you hear their ads for medicine you feel like you will be able to live unti 120 years old if you take them. Must be an easter egg like their shark in the glovebox. No, absolutely no idea what you’re on about! Well, you’re never too old to learn something new! Thanks, NRJ. The Opel shark story is fun. I found that little detail very likeable indeed. It´s a nice human touch. I read once that the little Jeep going around the windscreen is responsible for a phenomenal amount of people returning to Jeep to replace their windscreen as opposed to going to a cheaper shop. People still want that little quirk and pay top dollar for it apparently. Having thoroughly enjoyed myself reading hundreds of old Autocar and Motor road tests up to 1988, I’d say that Camaro dash design is on a par with Rolls Royce from the 1970s. Even the testers were aghast at the useless layout, but the carpet was nice, so thank goodness for small mercies. If there’s anything more useless on DTW than a bunch of Europeans opining on American cars completely out-of-context, it’s a bunch of Americans opining on European cars similarly out-of-context. Nothing useful shall be learnt.